On the surface, influencer marketing seems simple enough. Find an online influencer, pay them some money and watch them drive new faces to your product. Of course, anybody who has ever tried influencer marketing knows that it is far easier said than done finding the right influencer for your brand. The truth is that not just anybody can sell your product. You could back the Brinks truck into LeBron James’s driveway and offer him the world to push your product to his 40.7 million Instagram followers. But if it’s not something his followers would be interested in, it’s a massive waste of money. To that point, many marketers feel that they have not gotten their money’s worth from their influencer marketing endeavors. But this just speaks to how difficult influencer marketing actually is, and in some ways, a misunderstanding of influencer marketing being more about community than a singular campaign. It requires the right marriage of product and influencer – and they both have to be perfect. One of the biggest reasons for the success of influencer marketing is that it isn’t perceived the same way as traditional marketing. Everyone knows what ads look like, and consumers have become highly skilled at tuning out conventional advertising messages. Influencer marketing is very successful in this area – when done correctly, it’s a natural extension of an influencer’s personal brand. Imagine an influencer that does a sponsored post for a line of makeup. It’s an ad, but at the same time, it’s something far more. She’s simply showing the world what works for her – giving credit to the products that have helped her to capture the public eye. And by showing off the makeup, she’s showing pride in being associated with this line of makeup. That combination is likely to inspire several others to follow in the same path of this influencer. That’s the kind of rub you want from your influencer. You don’t want an annoying ad that’s obviously a sales pitch for something the audience of the influencer doesn’t care about. Instead, you want something more natural. A paid promotion, yes, but a convincing and effective statement about why this influencer thinks his or her audience will benefit from learning about this product. That’s why influencer marketing is so much more powerful than regular marketing: When finding the right influencer to work with, you are tapping into a trust that a community has with a relevant influencer that advertisements cannot replicate. In the scope of social media marketing, influencer marketing also becomes more important as organic social media reach for brands trends closer and closer to zero. Of course, this only works after finding the right influencer to work with in the first place. Unfortunately, many businesses don’t truly understand the business impact that influencer marketing can have. They end up forcing an ill-fitting influencer, either to keep up with the competition, to appear cutting-edge, or simply because they believed what their agency told them. Perhaps it’s because their agency didn’t do enough due diligence or maybe the brand found someone that “looked good” on an influencer marketplace. The end result is a campaign that yields little or no value to a business. Some influencer marketing campaigns have made brands look bad not only because of their choice of influencer, but also their approach in how they work with that influencer. The cut and paste Instagram post that was published by Scott Disick on behalf of the BOOTEA brand is a case study that is still talked about today. It is the desire to share best practices and case studies to emulate with fellow marketers that fuels my passion to write my upcoming book on influencer marketing. That’s not even the half of it, though. One standard of measuring influencer marketing cost on Instagram has been $10 per 1,000 followers. That might not seem like much, but if you decide to commit to ten posts with an influencer with 100,000 followers, you’ll find yourself $10,000 in the hole. That’s money that might be better spent in a variety of other marketing mediums. Marketing is never guaranteed, and it’s impossible to tell if your advertising expenditures will directly result in additional business. It’s natural that any marketer would want some assurance that their influencer will move the needle. But much like finding the right influencer and influencer marketing itself, this is far more complex than it seems. How Do You Measure an Influencer’s Influence? We know that selecting the right influencer goes a long way. How, then, do you know if a given individual is right for your brand? And how do you measure his or her influence? That’s the problem that plagues marketing managers worldwide. There’s undeniable potential in influencer marketing. However, as we’ve seen, there’s much more to influencer marketing than picking a pretty profile picture with lots of followers. It’s the sense of trust and believability that really sell a product or service. And that’s what you need to get from your influencer. The problem is that it’s very hard to gauge what someone is really about based on their Instagram photos. As we all know, Instagram is a very carefully curated look into someone’s life, one that only shows the good parts. With only part of the story, it’s difficult to know who you’re really dealing with. And worse, there’s no real data to supplement your choice in finding the right influencer. When considering the personality and interests of potential influencers, the only data at your disposal comes in the form of hashtags. In theory, if someone uses hashtags that are synonymous with your brand, you’ve got a good match on your hands. However, influencers rarely use hashtags these days. Overusing hashtags tends to emit an air of desperation; it suggests that someone is desperate for attention. It’s not a great look for the average person, and it’s even less desirable for an influencer. Remember, the goal is to seem authentic. A giant block of hashtags doesn’t accomplish that, and it could lead to a backlash towards both the influencer and your business. Needless to say, the existence of fake followers and engagement also clouds the picture and makes it further difficult to assess an influencer’s true value. With hashtags rendered largely useless for influencer marketing purposes and uncertainty about other public metrics, there has to be another way to figure out the perfect influencer for your business. Fortunately, there’s one solution that’s already beginning to make the lives of marketers much easier. It’s thanks to technology that influencer marketing even exists. Therefore, it’s no surprise that technology is drastically changing the way influencer marketing is already beginning to being conducted today. Recent developments have enabled savvy marketers to mine data from social media posts – not just mere hashtags that might be irrelevant – to glean information about influencers. Combined with first-party data from previous campaigns, various public data, image recognition technology, and sophisticated machine learning, artificial intelligence is enabling marketers the ability to peek behind the curtain in a way that’s virtually unfathomable. Now, marketers can really see what these influencers are all about – their disposition, the brands they like, their personality traits. Marketers can also equally better understand their track record, and, most importantly, their audience and the relevance they have to the influencer’s content. In other words, the things that make influencers influence are now able to be seen, categorized and reported on in marketing databases. This makes choosing the right influencers for a given marketing campaign markedly easier than ever before and almost guarantees a higher ROI versus not using this technology to “vet” influencers. It also significantly speeds up the process of finding influencers and ensures you’ve used technology to help you find the most relevant ones. The impact of this technology can’t be understated. No longer will marketers have to play guessing games regarding finding the right influencer they choose or the potential influence that they have. We won’t have to question the ROI of influencer marketing and instead use PDCA to find the right mix of influencers to work with to generate the results that we want. We’re just at the tip of the iceberg regarding how AI can improve influencer marketing. 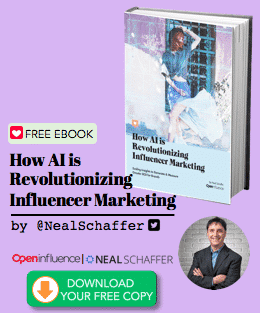 To learn more about how artificial intelligence is helping marketers to win and generate much higher ROI in influencer marketing, download the ebook “How AI is Revolutionizing Influencer Marketing” that I have just published. This book goes in-depth into issues marketers face in modern influencer marketing, and discusses the ways in which artificial intelligence is rendering those issues obsolete. In essence, reading this ebook will help you understand the past, present, and future of influencer marketing. 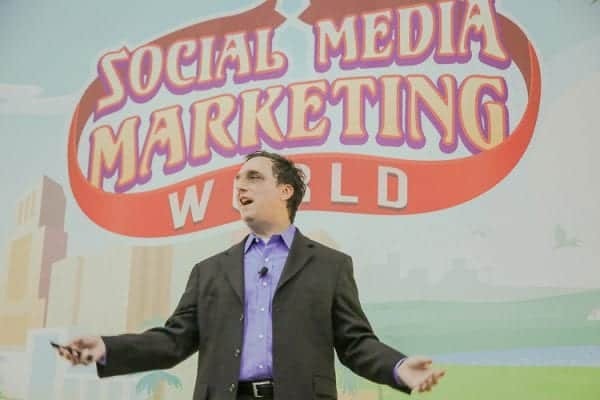 Has your company been “burned” by influencer marketing? Have you had good luck at finding the right influencer? Have your experiences been all positive? Feel free to share your experiences with the community below. Thanks!